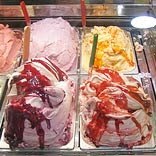 As summer is approaching, ice cream products is already the flavour of the season. Ice cream lovers are already exploring the delicious flavours this season in ice cream parlours, push carts, malls and other retailers. The Ice cream market in India can be divided into: the branded market and the grey market. Grey market consists of small local players and cottage industry players. The total market is Rs. 2000 Crores. The branded market at present is 150 million litres per annum valued at Rs. 800 cr. If we compare the global consumption, the per capita consumption in India is 300+ ml/annum, as compared to 24 litres/ annum in case of USA. The branded market is expected to grow @15% annually. The global average is 2.3 litre/annum. This clearly indicates that there is a scope to grow 6-7 times and match at least global average. Moreover looking at the world Ice cream market, it is one of the biggest food categories and is growing at +3.5% per annum. Today, consumers are more open to accept exotic & natural flavours as compared to earlier trend when the basic flavours used to contribute the maximum in overall sales. Besides, consumers also have the choice of trying out varied product offerings from various Brands to keep them excited and explore more. According to Motherdairy official, consumers also these days are becoming more health conscious and are looking for healthier eating options leading to the launch of Low Fat & sugar-free range by most of the Brands. We have also been witnessing growth of artisanal products and have therefore strengthened our Kulfi Portfolio this year. According to Vithalani, Director in Space Dotz , “Ice cream can be stored for a period of one or two years.” There is a need of deep freezers and as such no specific training is required to the retailers. Giving a detailed note, Motherdairy official explains, Every retailer is provided a freezer upkeep manual at the time of delivery of the machine. Also, with new technology refrigerators coming in and comparatively improved electricity situation in the country, there has been a significant improvement maintaining the product temperature at the retail outlets. Besides, Mother Dairy has a specialized Field engineering team for the maintenance of these Freezers resulting in superior product offering from the retail channel. The peak period of Ice Cream sales is from March to June. More than 60% of the annual sales and the new product launches are planned during this part of the year. The supply chain has to be very active and well equipped with the delivery system. There is need for exclusive planning team for managing demand based upon sales trend, seasonality etc. In order to meet the demand in time, it is a retailers and logistic team who are in constant touch to avoid any kind of late deliveries. The logistic team chooses the area wise delivery by gathering the orders from the retailers. Due to intact supply chain and cold storage facilities, there is also almost no wastage during transporting the whole stock. The biggest problem for the ice cream retailer or manufacturer is power cuts. Melted product or products not found at the right temperature is one of the most common problems faced by the category. “We have a 24*7 Helpline for all kinds of consumer complaints. Our team looks after providing the consumer proper redress towards their grievances,” says the official of Motherdairy.